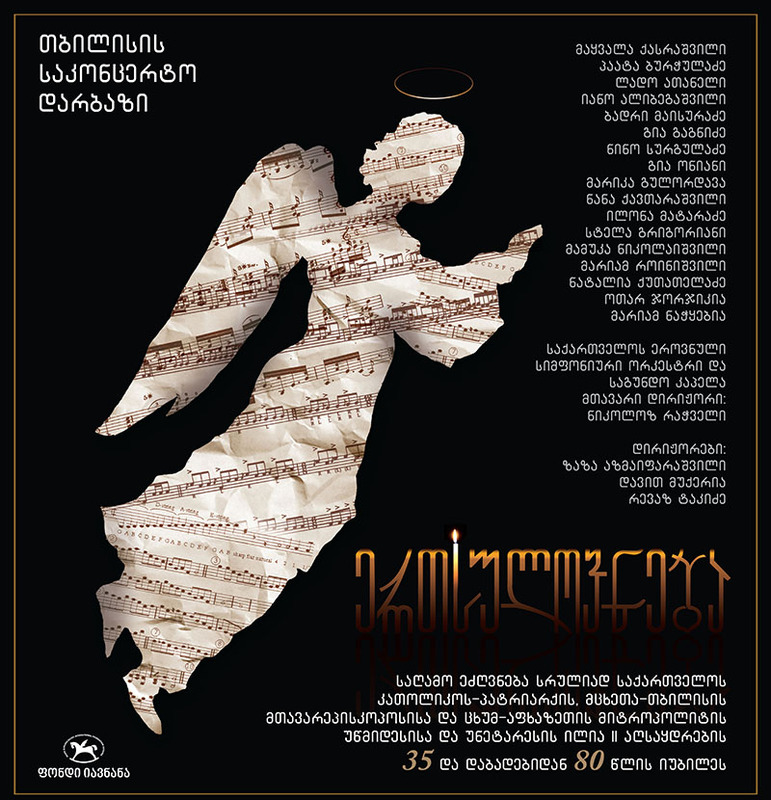 On 4 January 2013, a gala featuring distinguished Georgian musicians Mmes: Liana Isakadze (violinist), Makvala Kasrashvili, Iano Alibegashvili, Stella Grigorian, Ilona Mataradze, Marika Gulordava, Nana Kavtarashvili and Mariam Nachkebia; Messrs: Paata Burchuladze, Zurab Sotkilava, Badri Maisuradze, Gia Oniani, Lado Ataneli, Mamuka Nikolaishvili, George Gagnidze and Otar Jorjikia, as well as the “Shvidkatsa” and “Mdzlevari” ensembles was held at the Tbilisi Concert Hall. The concert led by Ms. Nino Arazashvili was dedicated to 80 birthday and 35 anniversary from the enthronement of Ilya II, the Georgian Orthodox Patriarch. The gala was accompanied by the Georgian National Symphonic Orchestra and a choir conducted by maestros Nicholas Rachveli (chief conductor), Zaza Azmaiparashvili, David Mukeria, Revaz Takidze and David Kintsurashvili. The concert was covered live by “Rustavi 2” TV channel. The project was supported by the Georgian Ministry of Culture and Monument Protection.